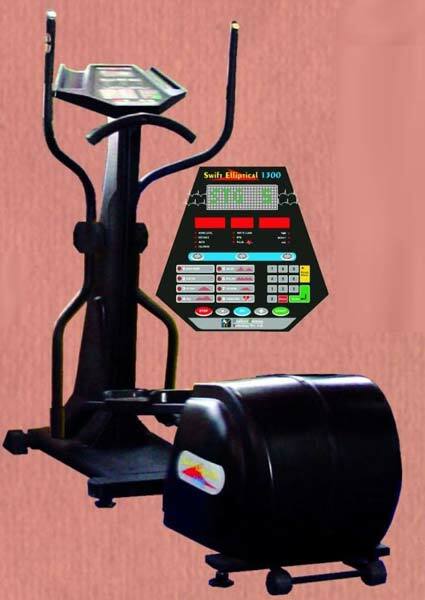 Owing to our rich industry experience, we have emerged as a reputed Manufacturer, Supplier and Exporter of Cardio Elliptical Training Machines. Easy-to-use, our Training Machine comes with 8x16 dot-matrix display. It features adjustable leveling feet that can compensate for uneven surfaces. Buyers can obtain the Machine at reasonable rates from us. 1 Cardio and 1 Quick Start (Manual). Display - 8 x 16, Displays Workout Profiles, 30 Sec. Pause / Recall.